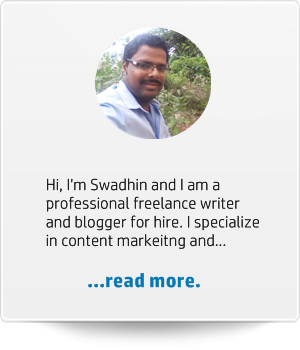 Are you looking for a professional freelance writer and content marketer? Hi, I am Swadhin Agrawal. I help authority bloggers and businesses like yours save time, drive organic traffic and convert readers into subscribers. If you want content that tells your story, converts your readers into buyers, or adds value by solving your reader’s problem, you have come to the right place! I am on a mission to help businesses like yours with online (and offline) content creation. Now you can focus on running your business rather than writing behind the scenes. For details about each service and my rates, please check out my Services Page. To view a sample of my work, please view my freelance writing portfolio. I’m a passionate full-time freelance blogger and writer for hire. If you need a friendly. easy going writer who knows the ins and outs of content creation, then I’m your guy. I have written almost 500 articles across the web. 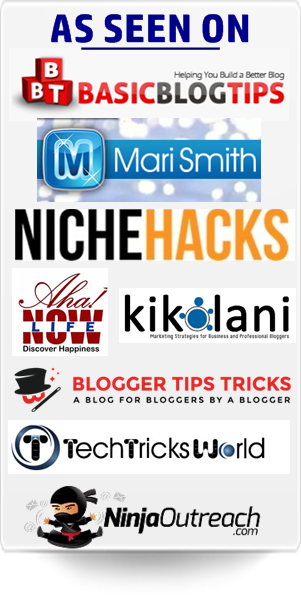 My opinions and expert tips have been featured alongside superstar bloggers like Chris Brogan, Brian Clark, and Syed Balkhi. I’ve written content for authority bloggers who are featured in Forbes TOP 10 Social Media Influencers! I create high-quality content that’s a great value for your money. I’ve experience in not only writing but in marketing, SEO, and WordPress. My clients love my in-time project submissions and prompt communication habits. As I said, working with me is gonna fun. For a general overview, you can check my freelancer FAQ section. Alternatively, you can shoot me an email over swadhin@swadhinagrawal.com to discuss things personally. I’m waiting to work with you! Shoot me an email at swadhin@swadhinagrawal.com for a custom discussion, or click below to request a personalized free Quote. ➤ Get a FREE Quote, Today!